Located in the stunning Trevaunance Cove in Cornwall, the brewery is part of the Driftwood Spars pub and B&B where it boasts some incredible sea views. Pete the brewer and Louise the pub landlady met at the St Austell Brewery Beer Festival. Pete was a brewer without a brewery and Louise owned a brewery without a brewer, so together they made the perfect match and the brewery has gone from strength to strength since. 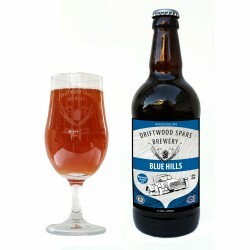 They produce a broad range of elegant and sophisticated beers, all brewed with traditional methods to the highest standards and hand bottled in their brewery. 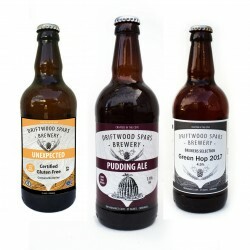 All are vegan friendly and contain only the very best British ingredients; just water, hops, malt or sorghum and yeast. 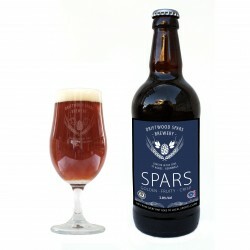 Driftwood Spars Brewery are proud to have a won the Champion Winter Beer of Great Britain 2012, awarded by CAMRA for their beer Alfie's Revenge.